As you round the point from St. Margaret’s Bay into Mahone Ba,y the ocean can be sightly rough even on an otherwise calm day. It seems like every time we think about a perfect day that we’d like to bottle up to take out at a later date to relive, we’re on a boat. The first one we can remember was a day of sailing in the British Virgin Islands, the only time in her life when Patty sat at a bar (on an otherwise deserted island – Norman Island to be specific) in a bikini! 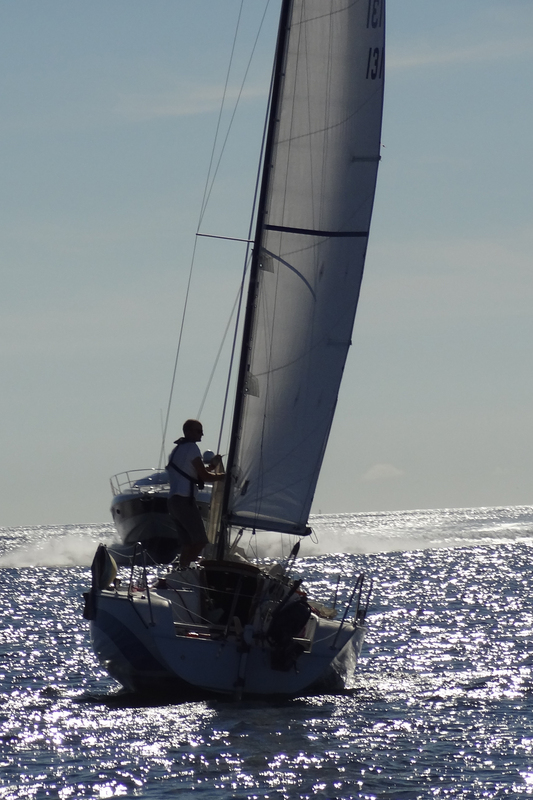 A couple of years ago, we rented a boat and a captain and motored along the French Riviera, glass of champagne in hand. This past week, as we near the end of summer, we’re traveling closer to home. Armed with a picnic and a full tank of gas, we motored our 24-foot Chris Craft out of our cove on St. Margaret’s Bay in the Halifax region of Nova Scotia. 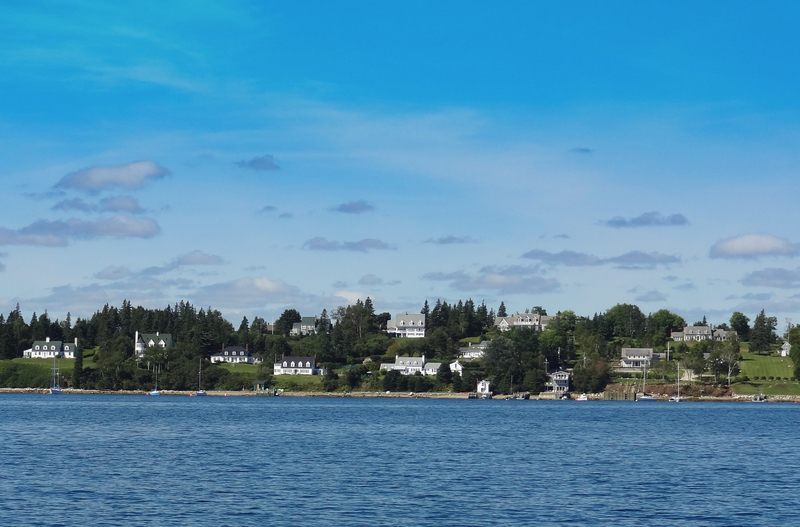 We headed across the bay and rounded the point of land the separates St. Margaret’s Bay from Mahone Bay and headed toward the tiny village of Chester. More of a summer refuge for both Americans and Canadians who can afford the fabulously large, east-coast-styled clapboard dwellings, the village is on every tourist’s travel itinerary as they make their way along what is known as the lighthouse route on the south shore of Nova Scotia. Seeing it from the water, however, always imbues it with a different kind of charm. The Chester waterfront dominated byt the pub-like “Rope Loft” restaurant. 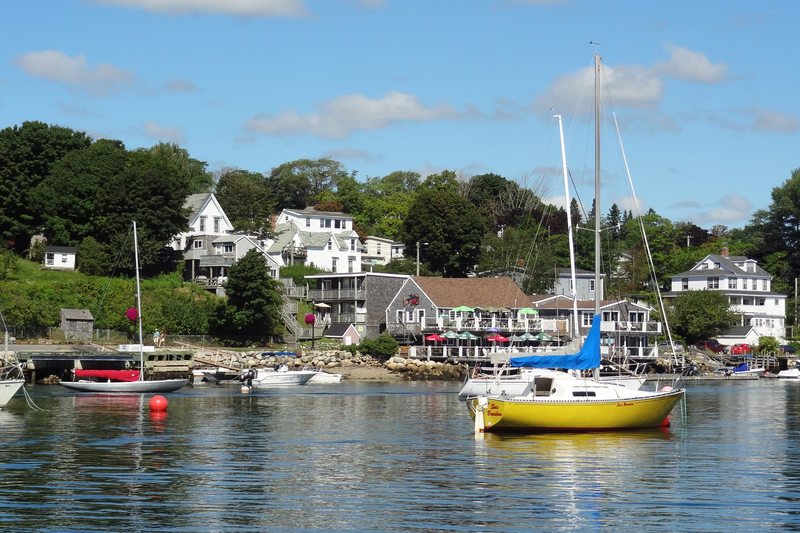 After Chester, we made our way along the coast and into Marriott’s Cove that is home to the South Shore Marina and one of our favorite out-of-town restaurants, The Galley. We pulled in to top up our gas and then were off to Oak Island. Yes, Oak Island of the buried treasure fame. Situated just on the shore that is connected to the island with a causeway is the Oak Island Inn and Spa. Rather than pull into here for lunch, we dropped anchor just off the mysterious Oak Island and had a wonderful lunch in the sunshine. Just after lunch it was about time to head home thinking that we’ll remember this day next winter when we’re gazing out a window to see the snowflakes dancing on the dock! 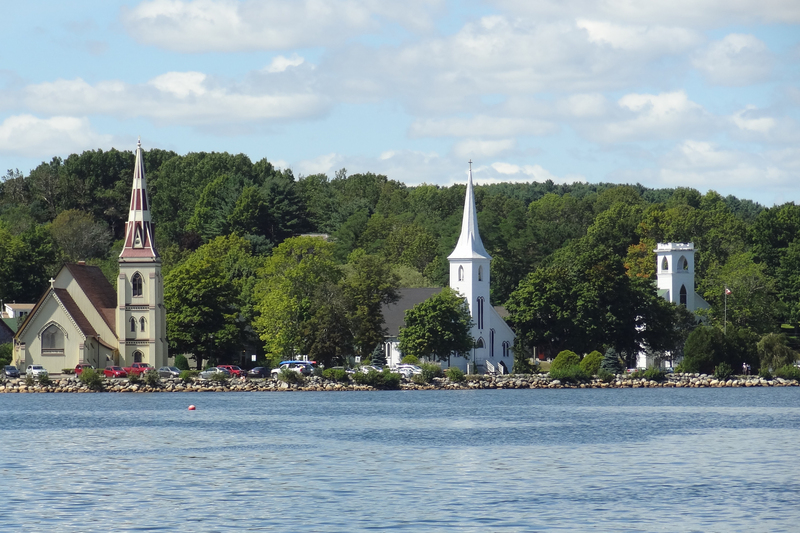 The iconic “three churches” from the water in the village of Mahone Bay itself. 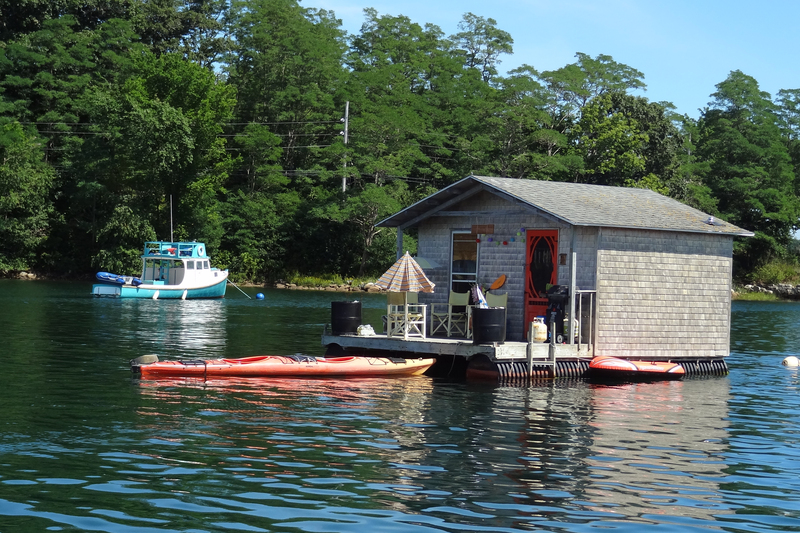 In Nova Scotia, when they say a cottage is “on the water,” you had better be more specific! Houses on the Chester peninsula. Cruise ships and their photographers: It can be fun to use them! Just dropping a note to say that I’ve enjoyed reading your blog so much, I featured it in my latest post. Thank you for feeding my cravings for Canada until I return! Thanks for dropping by — we travel widely, but there’s no place like Canada in the end! Cheers!